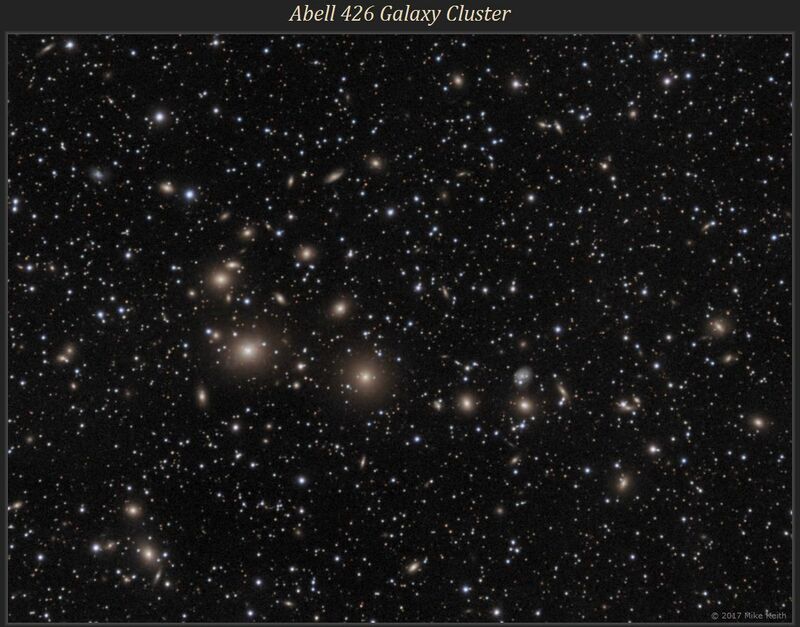 Abell 426 is a rich galaxy cluster located in Perseus containing hundreds of galaxies. 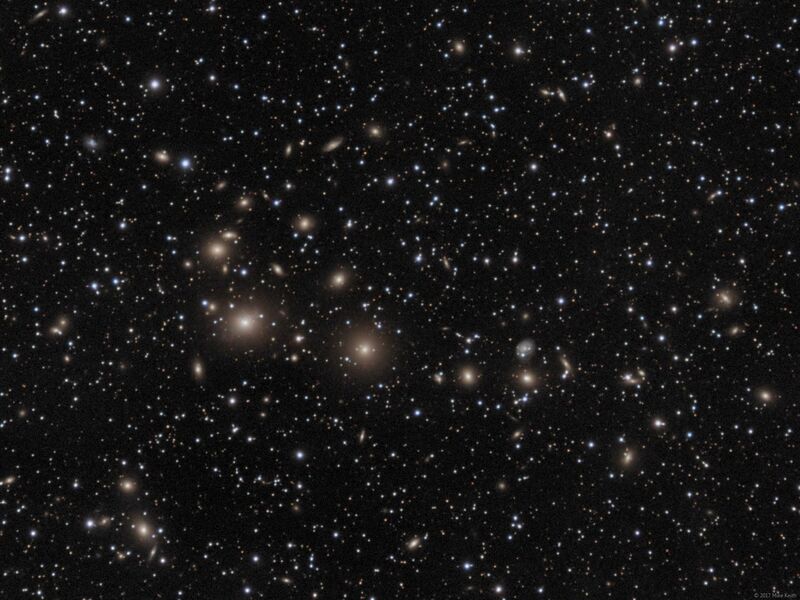 The two largest, to the left of center, are elliptical galaxies NGC 1275 (leftmost of the pair) and NGC 1272. Continuing to the right is the smaller NGC 1270 and to its right another elliptical galaxy, NGC 1267, with spiral NGC 1268 above it. Many more galaxies are visible, especially in the larger version of the image (see link above).